Thousands of times every day, doctors around the world look for issues inside their patients without ever breaking the skin, thanks to help from imaging technology like computed tomography (CT) scans, magnetic resonance imaging (MRI), X-ray and ultrasound. But those machines can be expensive, running from hundreds to thousands of dollars per scan, depending on the technology, and in the case of CT scans and X-rays, they expose patients to varying degrees of radiation. While the scans often prevent unnecessary exploratory surgery and help physicians diagnose everything from cancer to strokes, the costs and radiation can be concerning, especially for patients who need frequent scans. The good news is it looks like math can help. That's right: math. Really, really complicated math — the kind that happens to be Melody Alsaker's passion. 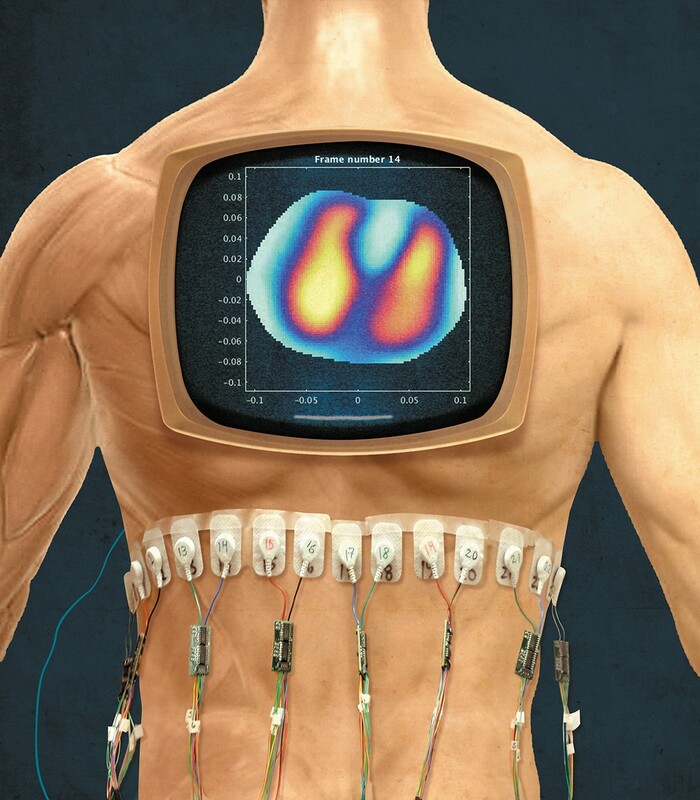 Alsaker, an assistant professor of mathematics at Gonzaga University, is working with a team based at Colorado State University to improve a different kind of scan called electrical impedance tomography, or EIT. While earning her Ph.D. Alsaker essentially wrote the computer code that turns the data into pictures. With EIT, electrodes are stuck around a patient in a circle to test electrical conductivity in that part of the body. Then a computer deciphers that data using mathematical algorithms to make a picture. Blood, for example, is really conductive, Alsaker says, while the air in your lungs isn't. A major perk of EIT is that there isn't any ionizing radiation, she says, and the machine is much cheaper and easier to move around. "You can wheel it in on a cart. You could put it in an ambulance, you can put it in a helicopter, you can take it to the patient's bedside. Or for patients who are immobile, like a car crash victim, or in war zones, or in places without good medical facilities, you can take the machine to people." Potential applications for EIT are being tested all the time. The group Alsaker is working with out of Colorado has partnered with a children's hospital there to test whether EIT scans could replace some tests done on children with cystic fibrosis, a rare genetic disorder that affects the lungs and requires yearly CT scans. EIT also does a good job of collecting a lot of images in a short time frame, which enables researchers to compile the images and basically make a movie, she says. For example, you could show a patient breathing. "You can see, in real time, the air entering and exiting the lungs," Alsaker says. "This is being studied for use on patients on ventilators, because you can actually injure patients by having improper settings." The original print version of this article was headlined "Math Meets Medicine"